Whatever the nature of your project, whether it is simply a fresh coat of paint or a major overhaul, we have the specialists and facilities to handle your requirements. If you want a major modification on your vessel, we are happy to work with your chosen designer or naval architect to meet your requirements. Our experienced staff include marine carpenters/shipwrights, welder fabricators and marine engineers. We also have a tried and tested team of electricians, hydraulic engineers and painters who work with us on client projects. We have a number of highly skilled welder fabricators available for repair work, structural work and modifications. 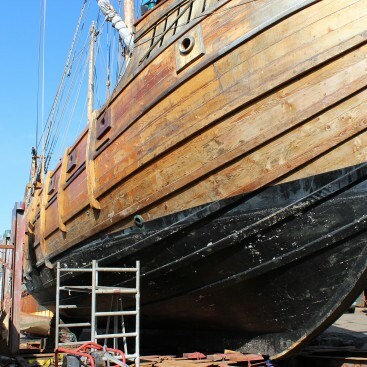 Our marine carpenters/shipwrights are all highly experienced in working with wooden vessels, including re-planking and re-laying decks, caulking, general repairs and interior fit out. Our marine engineers are available for engine repairs, winterisation and servicing. We can also arrange the installation of new engines and other associated engineering work. 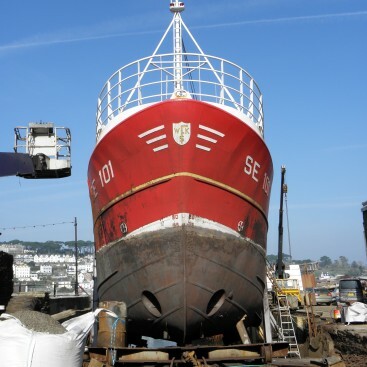 Whether you need a few scrapes touched up, antifouling or a complete re-spray, we have an experienced team of painters available who can provide the full range of paint spraying and hand painting services including CopperCoat. 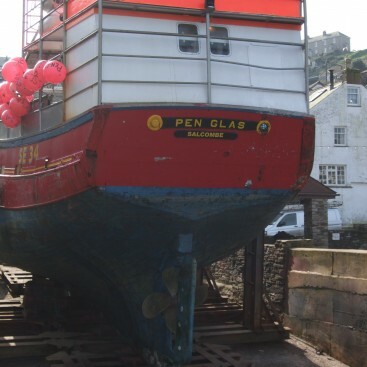 Our in-house team are able to undertake a range of fibre glassing services including repairs, additions or fit out of GRP hulls. We are also able to cut and polish hulls and match coloured fibreglass work for a large range of colours. Repairs and maintenance of shaft and stern gear work can be carried out on vessels once they are out of the water. Our experienced staff will work with our machining associates to meet your requirement and arrange the fabrication, servicing and transportation of parts. We can arrange for a variety of electronic services to be carried out from wiring and lighting to installation of electronic equipment. We are able to supply and source paint and materials, including special or unique orders. If you would like a quote for work of any nature on your boat, please get in touch and we would be happy to talk through your requirements. Where practical we will visit your boat to assess the work required before providing a quotation.